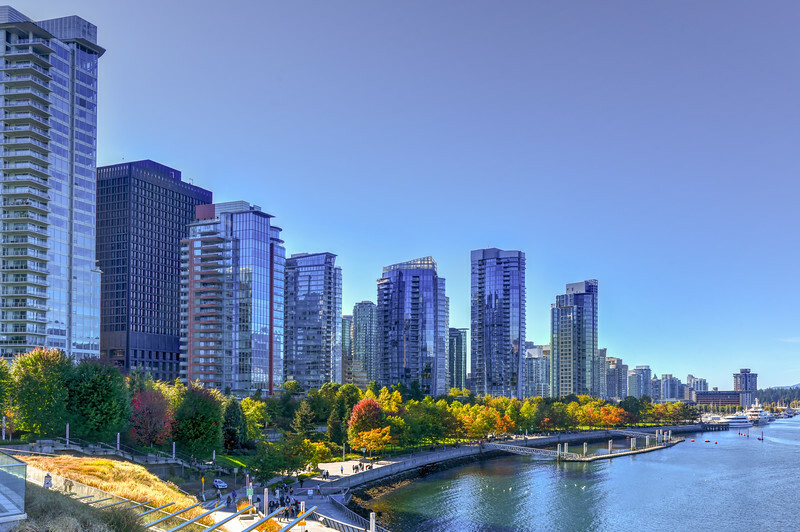 Aerial view of the modern city skyline of Vancouver, British Columbia, Canada during a sunny day. 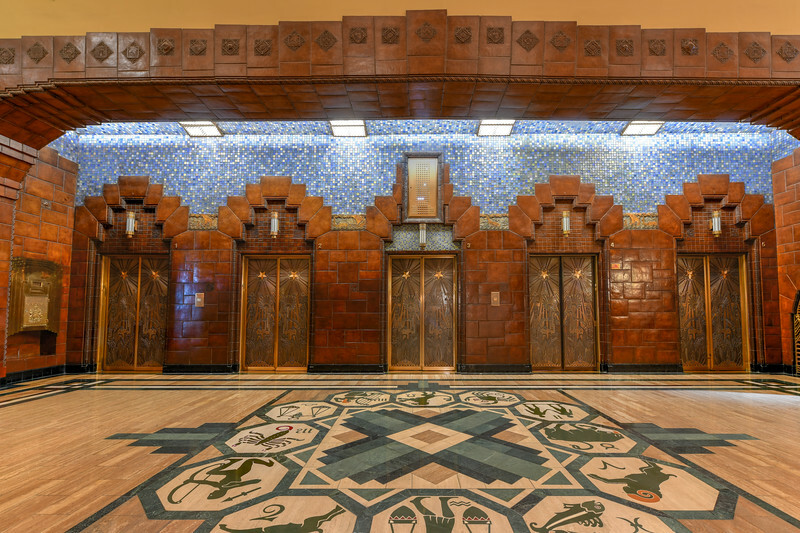 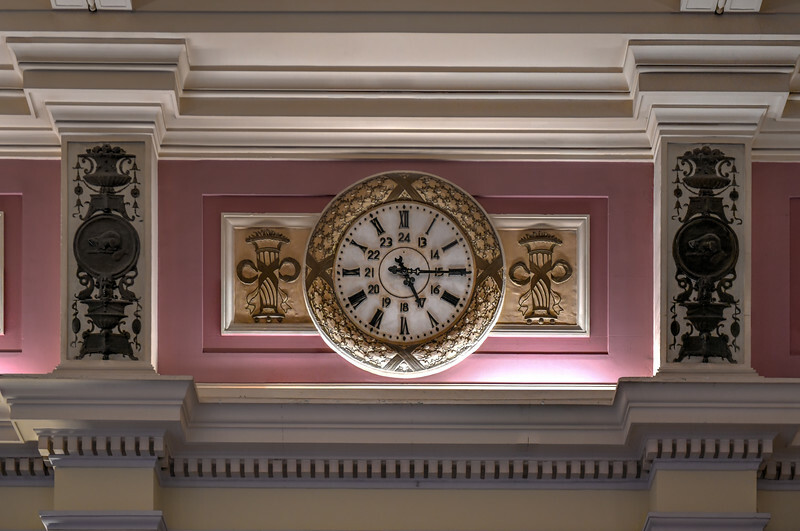 Vancouver, Canada - September 28, 2018: Closeup of the art deco style elevators in the public lobby of the old 1930 Marine Building skyscraper in downtown Vancouver, Canada. 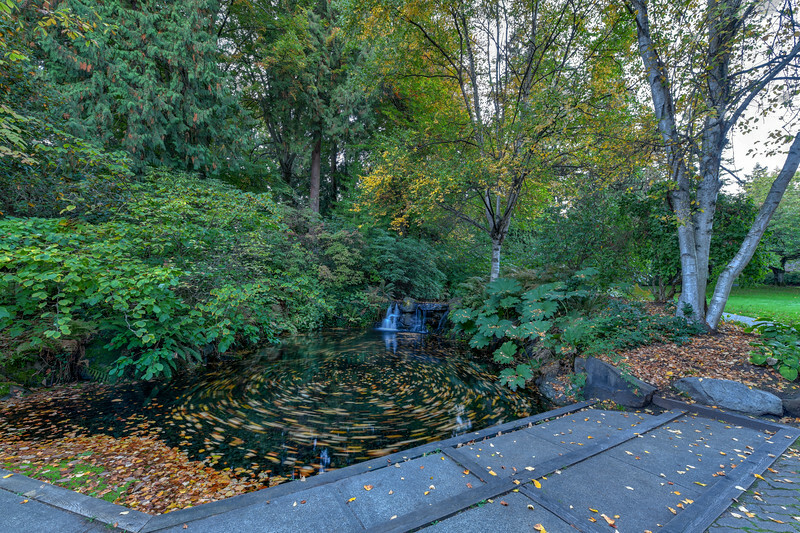 Small waterfall and pool in Stanley Park, Vancouver, Canada. 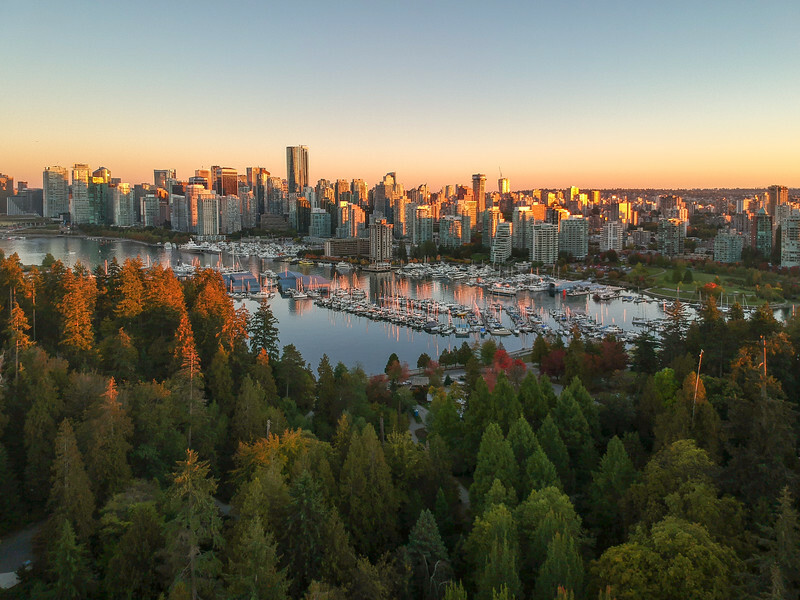 Aerial view of the Vancouver Downtown Skyline at dusk from Stanley Park, Canada. 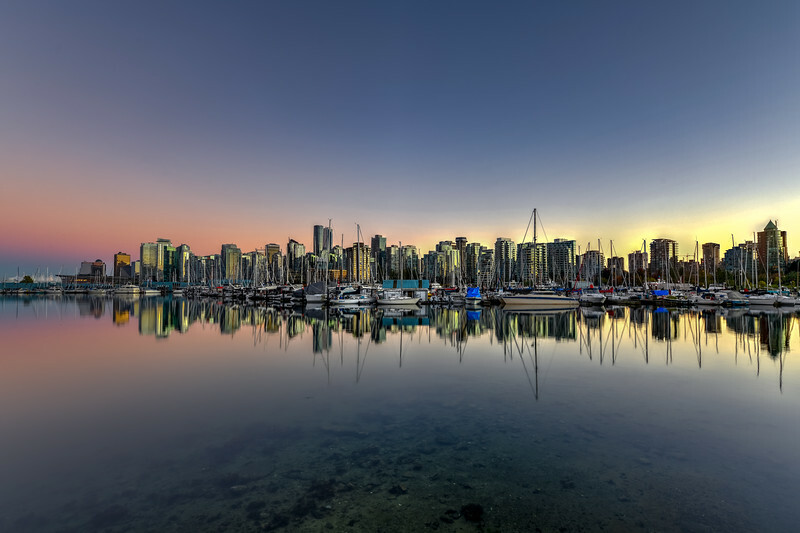 Vancouver Downtown Skyline at dusk from Stanley Park, Canada. 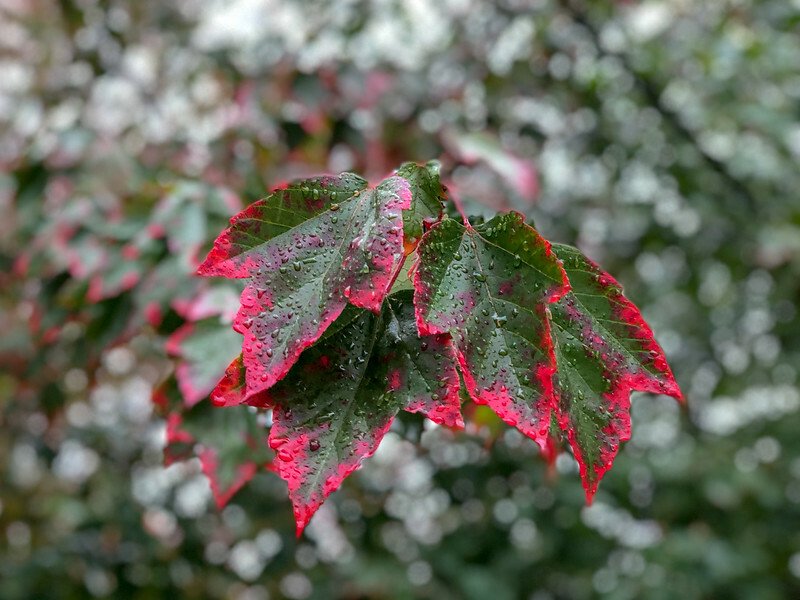 Garibaldi Lake is a alpine lake in British Columbia, Canada, BC. 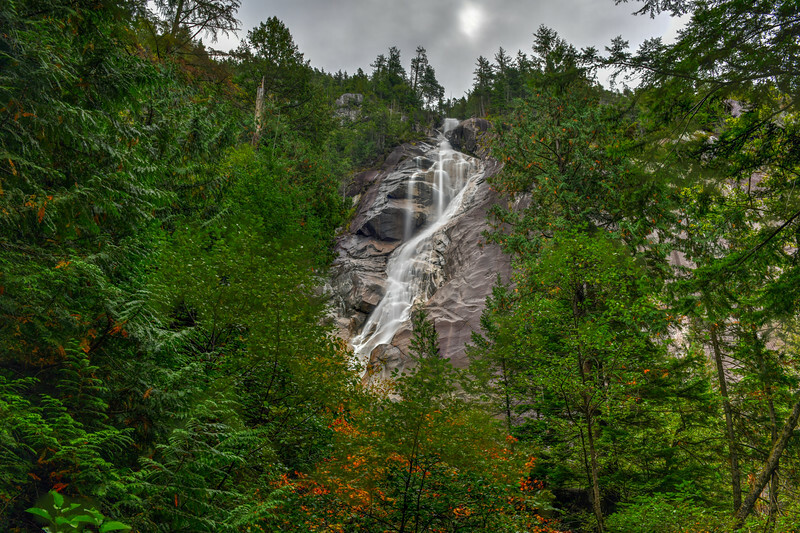 It is located near Squamish and Whistler. 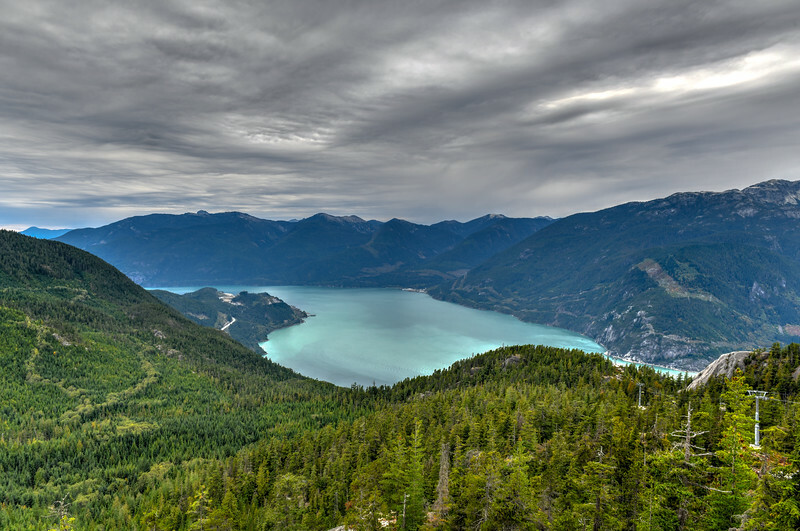 In Garibaldi provincial park you can see mountains, glaciers, trails, meadows. 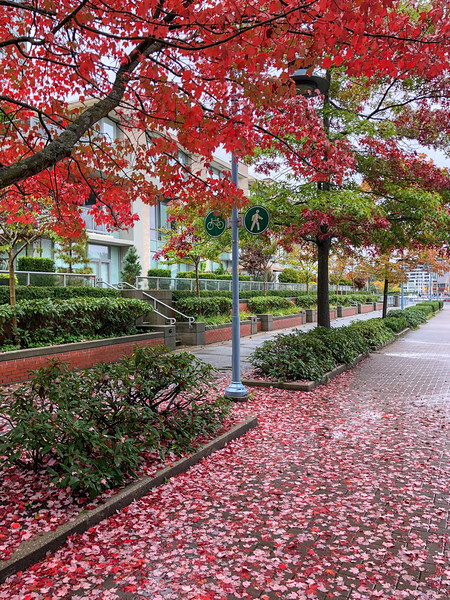 Wet green leaves turning to red in autumn in Vancouver, Canada. 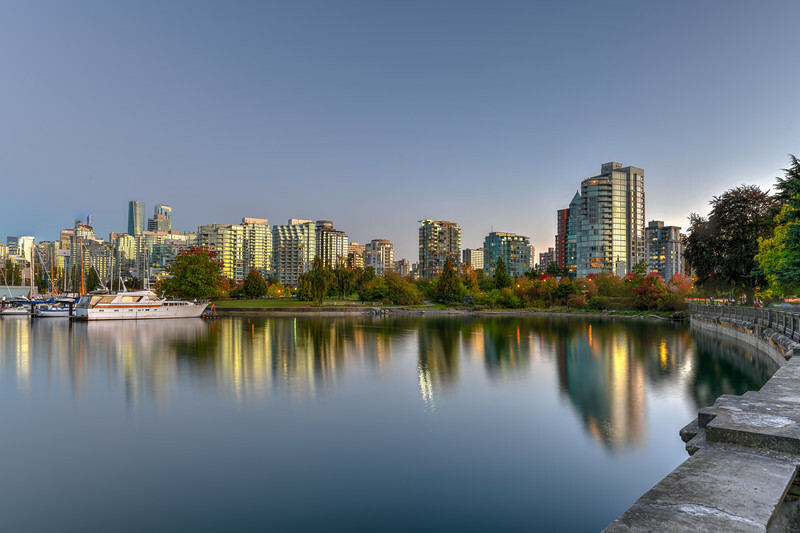 View of Vancouver, British Columbia next to Granville Bridge along False Creek, Canada. 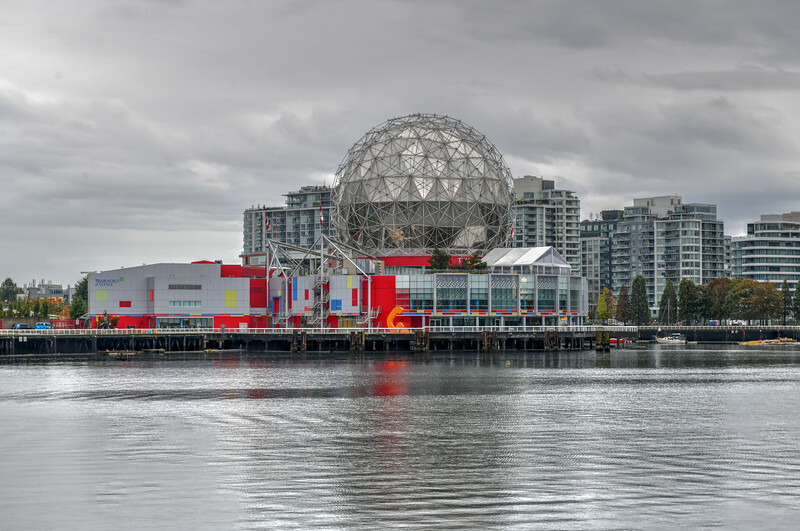 Vancouver, Canada - September 30, 2018: Science World at waterfront of False Creek in Vancouver, Canada. 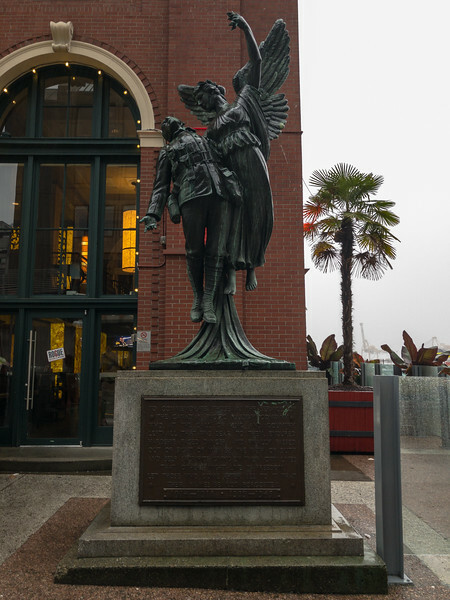 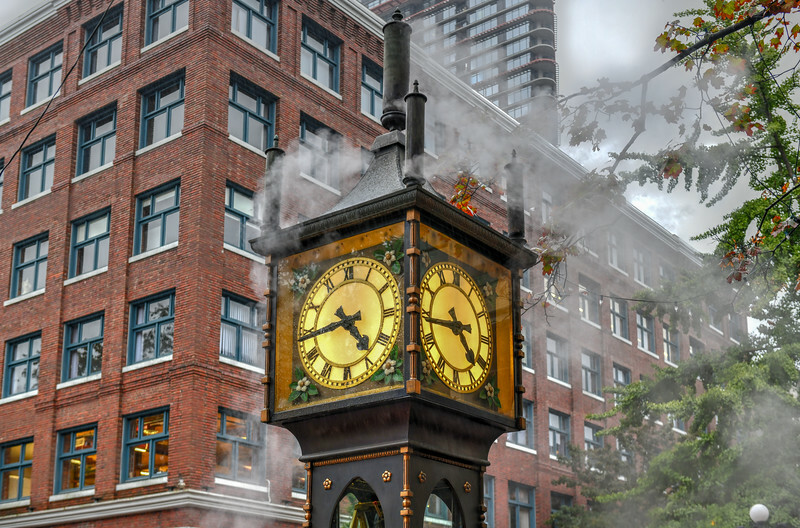 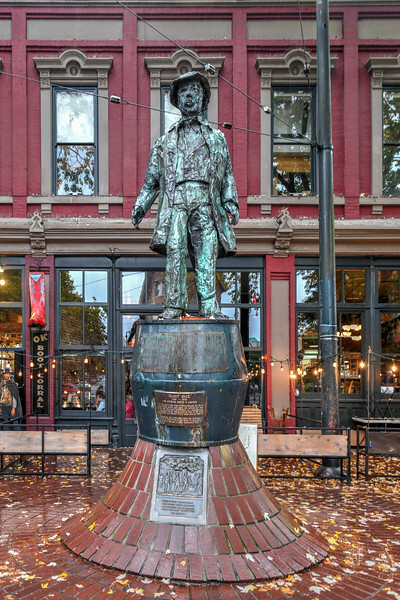 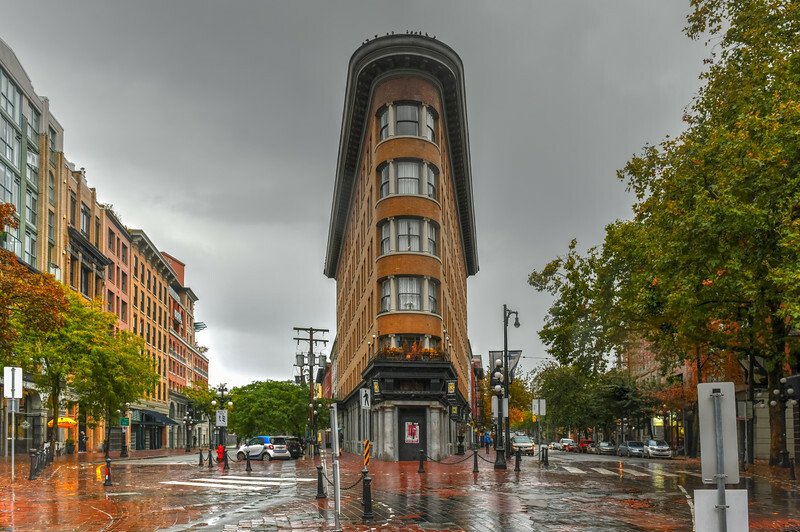 Vancouver, Canada - Sept 30, 2018: Bronze statue of Gassy Jack, Jack Deighton, the man who opened the first saloon in the Gastown district, the first established neighborhood of Vancouver in to 1867. 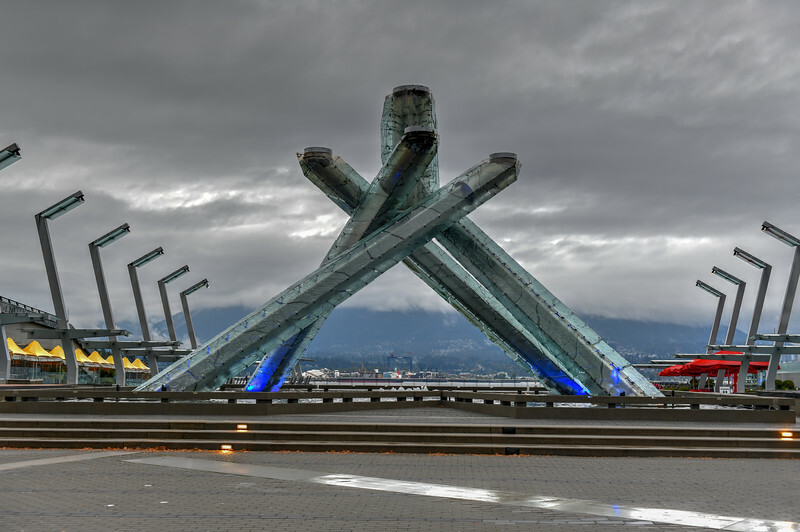 Vancouver, Canada - September 30, 2018: The Olympic Cauldron in Coal Harbor, Vancouver, British Columbia, Canada. 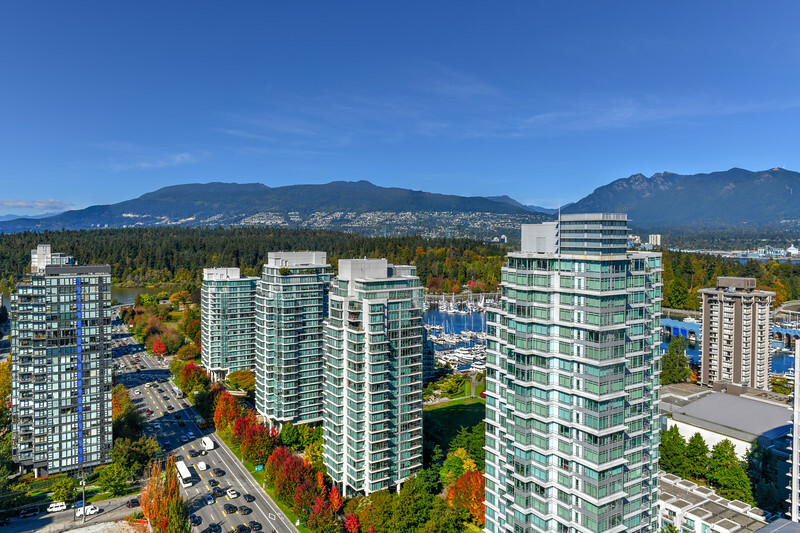 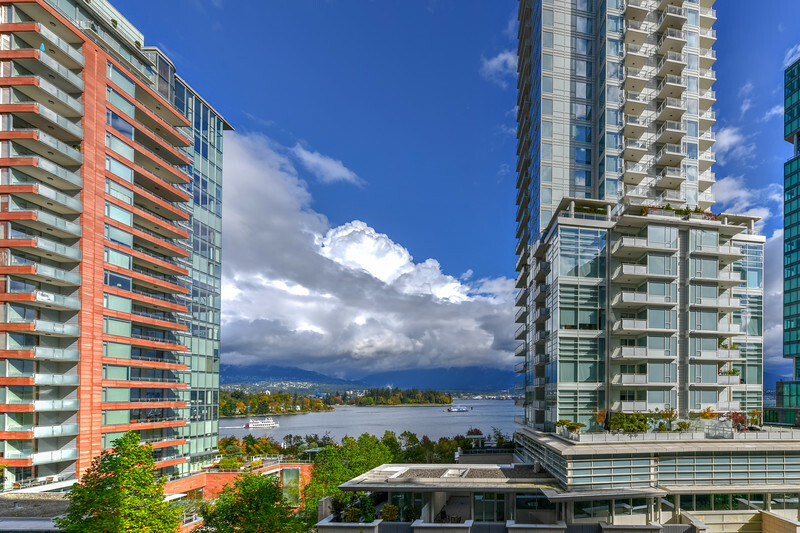 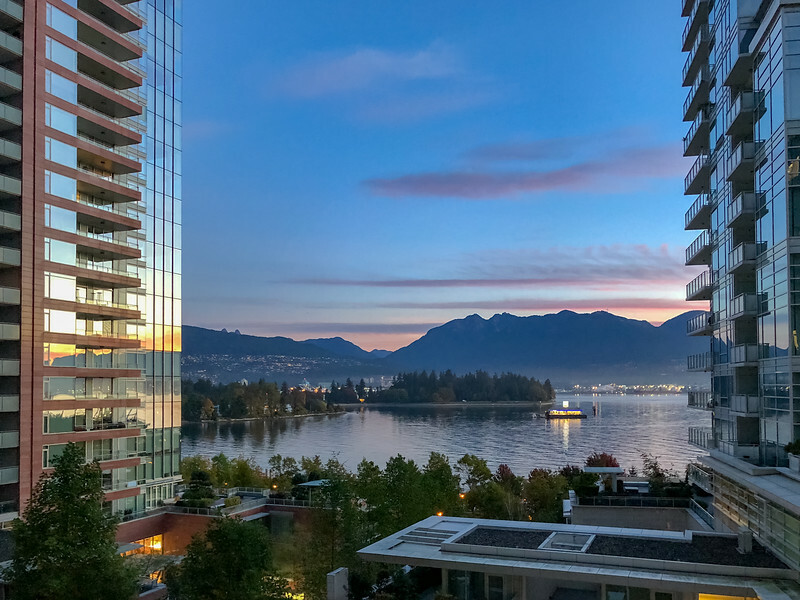 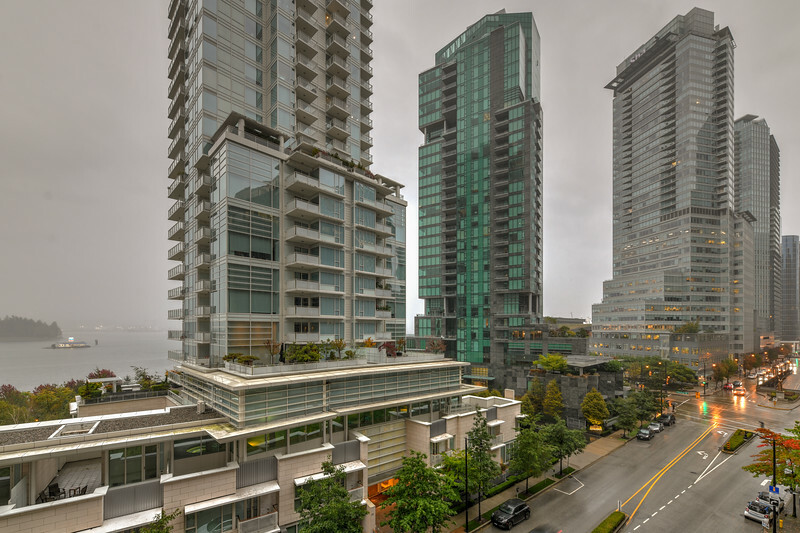 Apartment buildings along the Downtown Vancouver Skyline in Canada. 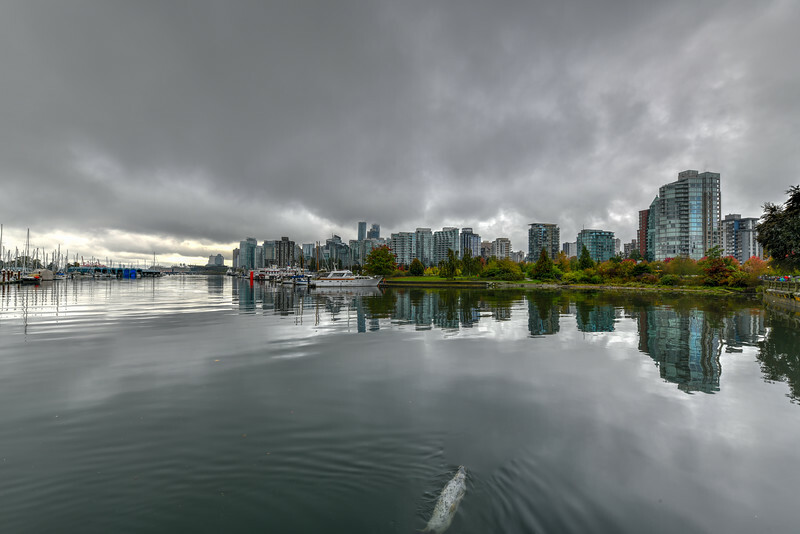 Panoramic view of Downtown Vancouver from Stanley Park in Vancouver, Canada. 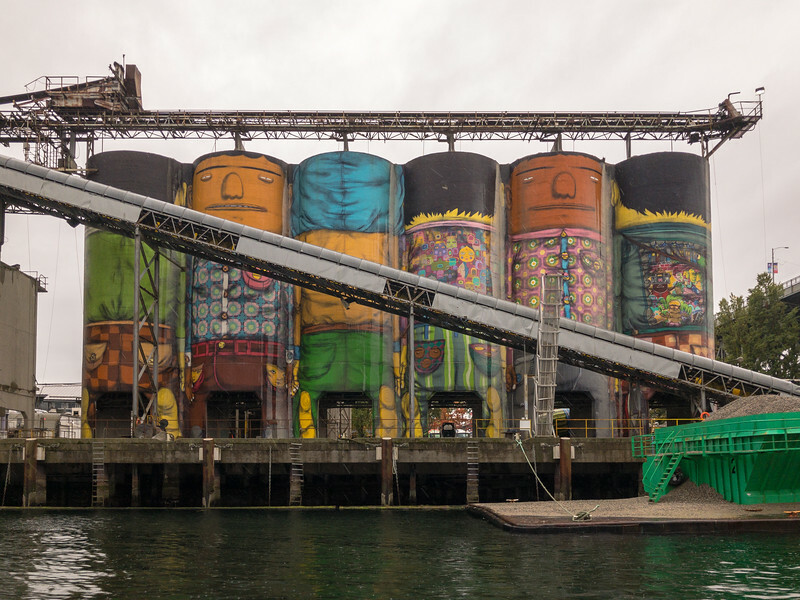 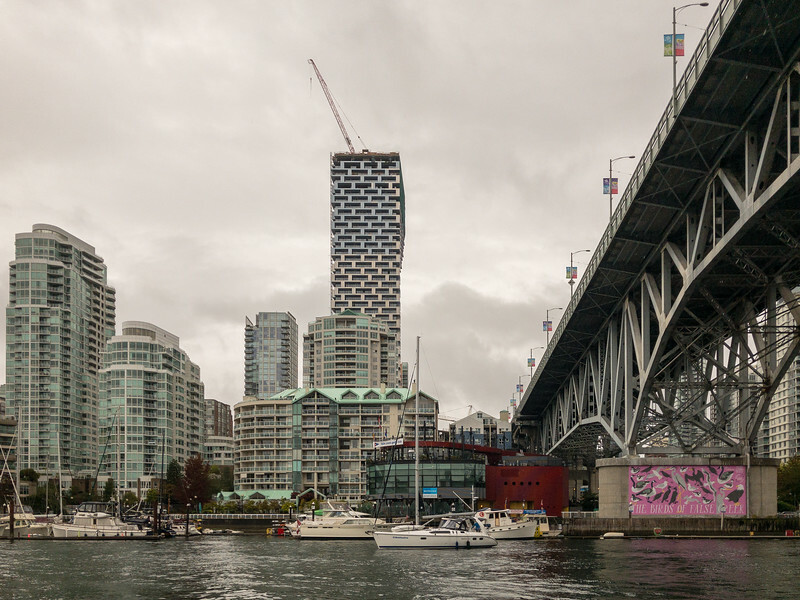 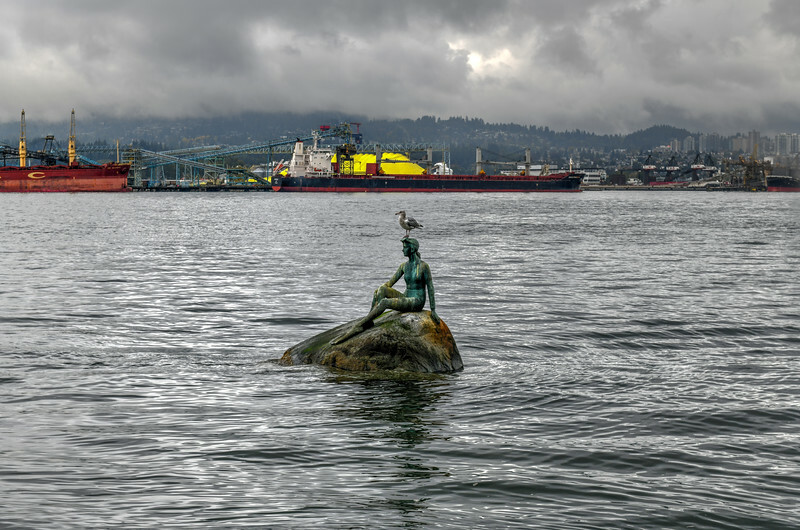 Vancouver, Canada's iconic girl in a wet suit set against heavy industry on the North Shore. 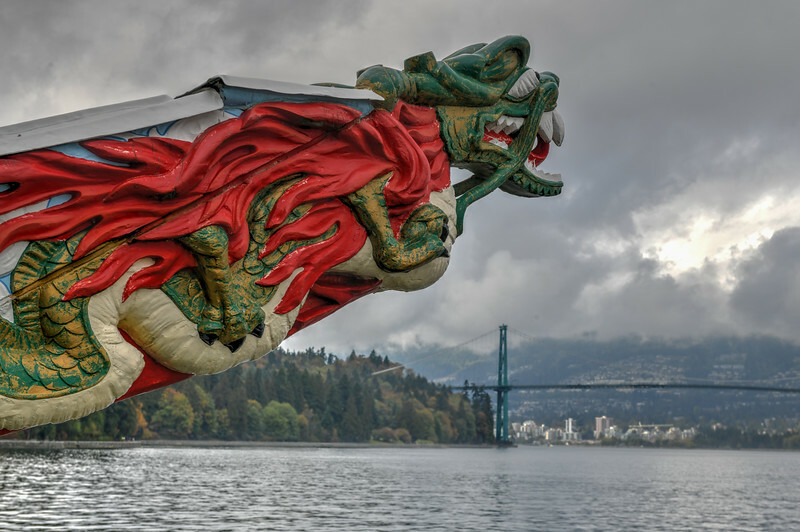 Vancouver, Canada - October 1, 2018: Closeup of monument displaying the figurehead of SS Empress of Japan looking over the waters of the harbour under a cloudy sky. 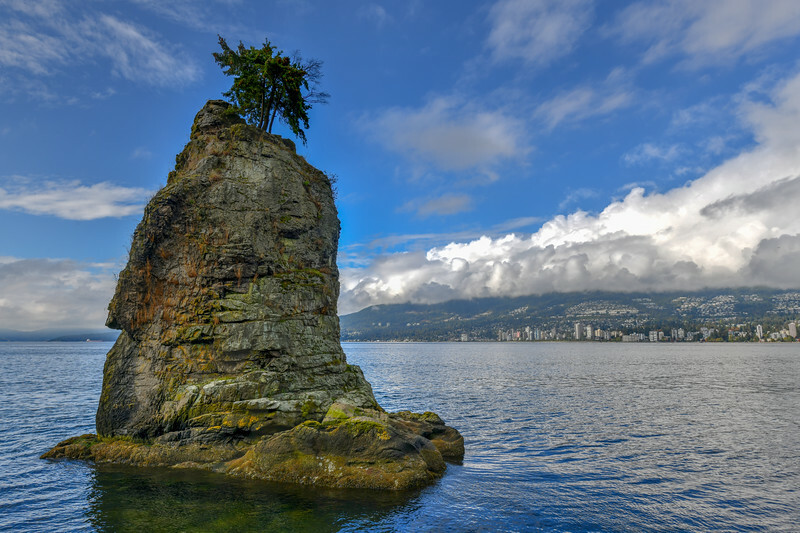 Lions Gate Bridge as seen from Stanley Park in Vancouver, Canada. 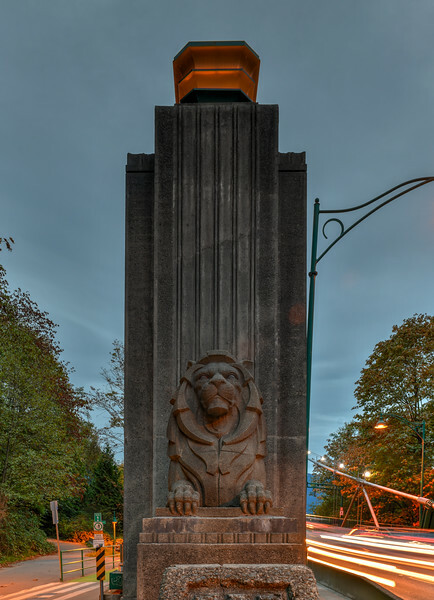 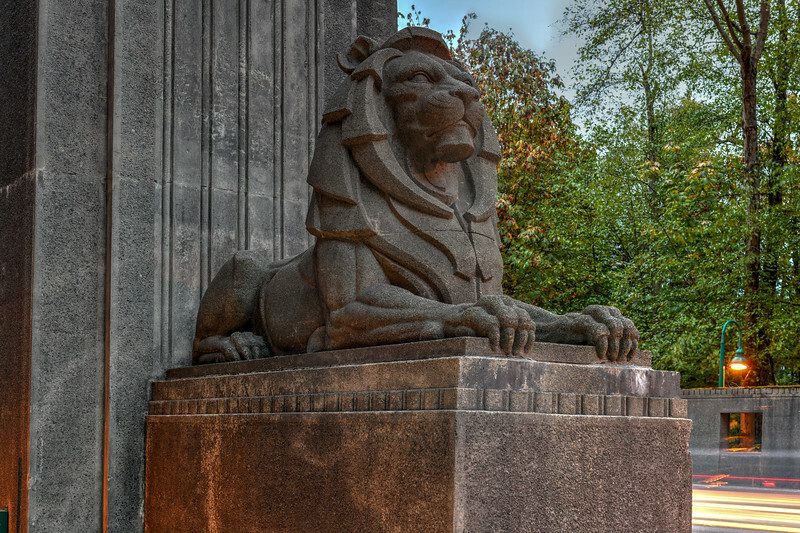 The Lions Gate Bridge, opened in 1938, officially known as the First Narrows Bridge, is a suspension bridge. 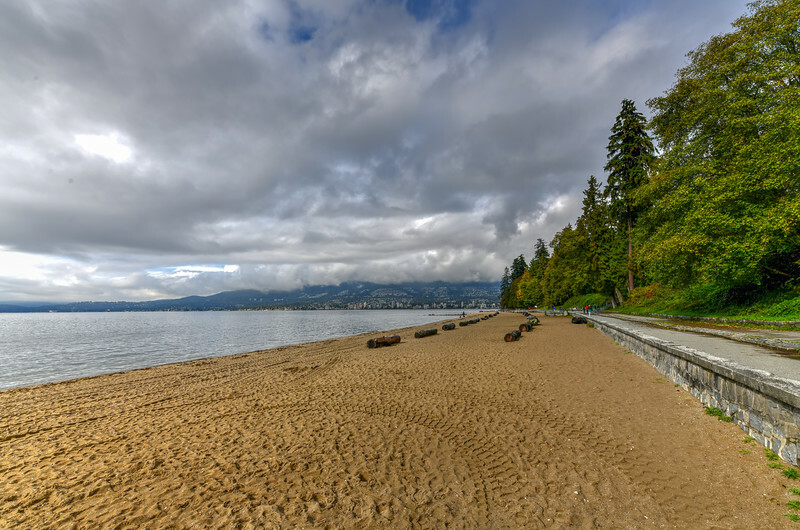 Third beach along Stanley Park in Vancouver, Canada. 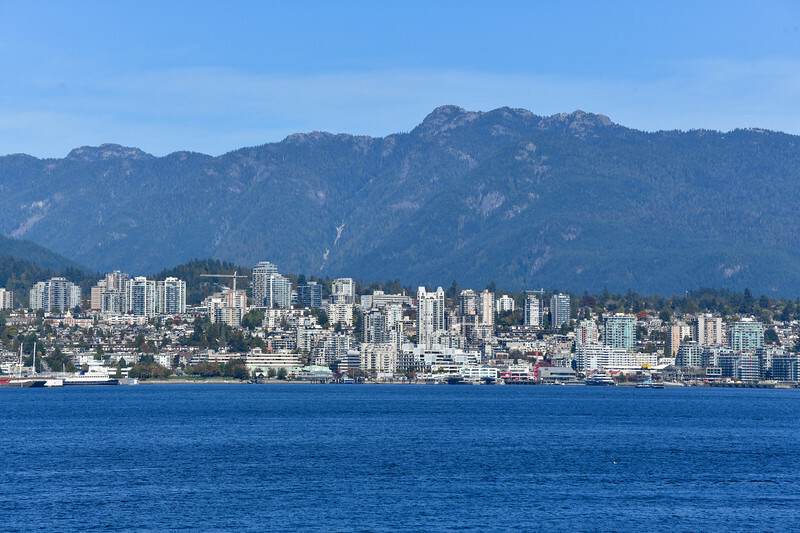 View of the North Shore. 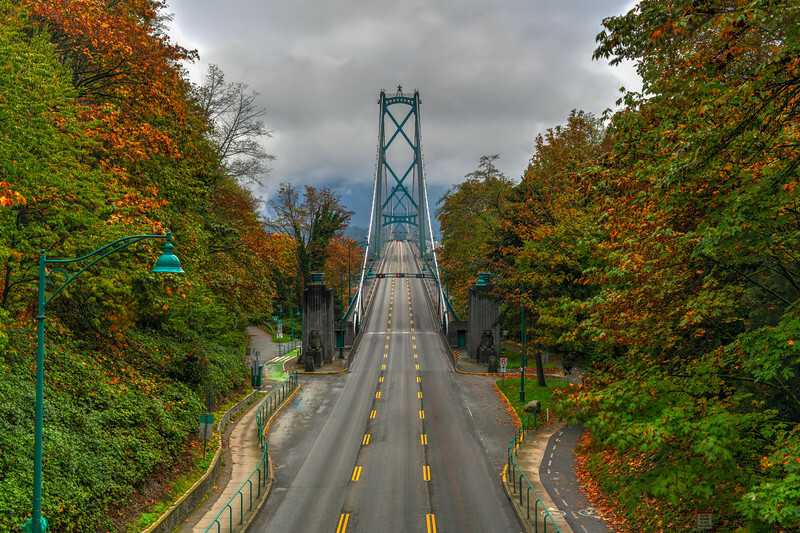 Lions Gate Bridge as seen from Stanley Park in Vancouver, Canada with autumn leaves. 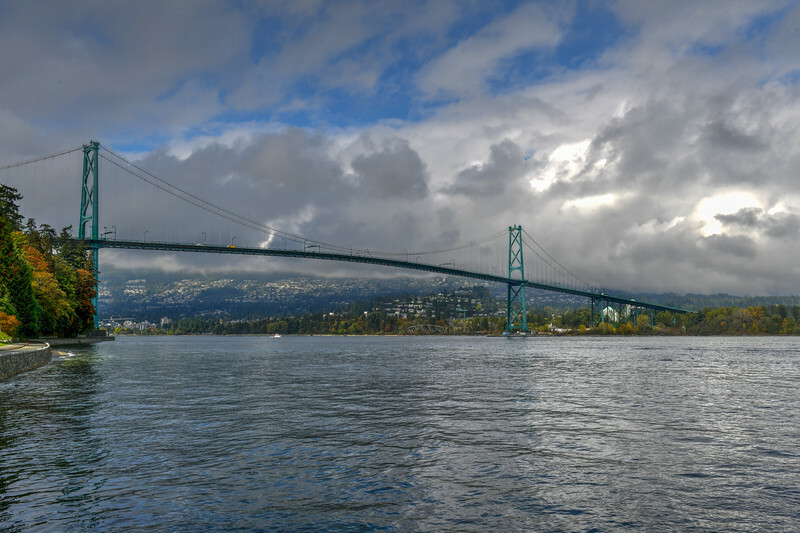 The Lions Gate Bridge, opened in 1938, officially known as the First Narrows Bridge, is a suspension bridge.